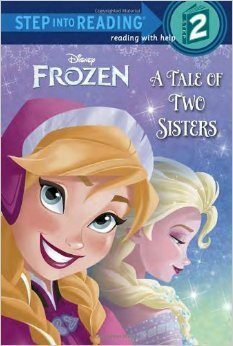 Disney Frozen's A Tale of Two Sisters Just $2.61 + FREE Shipping! You are here: Home / Great Deals / Amazon Deals / Disney Frozen’s A Tale of Two Sisters Just $2.67 + FREE Shipping! Disney Frozen’s A Tale of Two Sisters Just $2.67 + FREE Shipping! Ooooh, I am LOVING this deal! Pick up Disney Frozen’s A Tale of Two Sisters for just $2.67 SHIPPED! Frozen is one of my daughter’s FAVORITE movies, so I’m definitely grabbing this for her. I love that it’s a Step into Reading book, which will be great as she’s learning how to read!